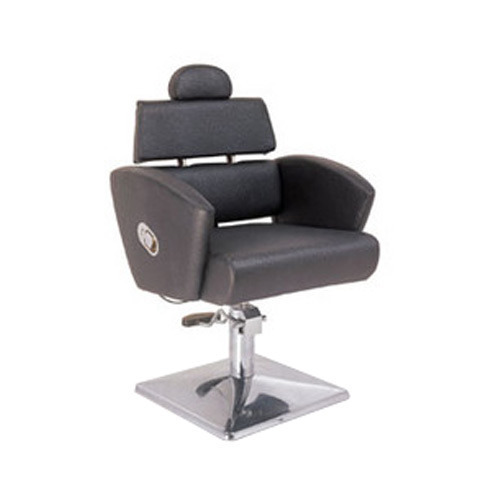 We are a leading Manufacturer of Salon Equipments, Beauty Salon Furniture, Salon Chairs and Salon Equipment from Delhi, India. Offering beauty parlor equipments, saloon equipments, Delhi, Noida, Gurgaon the company is a renowned name in the field of Beauty Salon & Spas products indulging in Manufacturing, Imports, Exports and Supplies of the beauty trade. The company is manufacturing Salon Equipments, Salon Furniture, accessories and Cosmetics to cater the need of the beauty and health sector inventing & preparing result and medical oriented equipments and cosmetics. With the firm experience in the Beauty Industry for last three decades. Through the years the company has evolved and created a niche for itself in the domestics sectors as well as in international market and caters to the needs of the professional health and beauty salons & spas from all over the world. Offering Salon Furniture Delhi, Salon Equipments, Spa Equipments, Salon Chairs, Shampoo Stations, Pedicure Spa Stations, Steam Bath, Sauna Bath. The company is a renowned name in the field of Beauty Salon & Spas products indulging in Manufacturing, Imports, Exports and Supplies of the beauty trade. - The company is manufacturing Salon Equipments, Salon Furniture, accessories and Cosmetics to cater the need of the beauty and health sector inventing & preparing result and medical oriented equipments and cosmetics. With the firm experience in the Beauty Industry for last three decades. - Through the years the company has evolved and created a niche for itself in the domestics sectors as well as in international market and caters to the needs of the professional health and beauty salons & spas from all over the world. These stationary massage tables have been described as perfect simplicity. As luxurious as fine furniture, these tables will be the workhorse of any spa, even on the toughest of days. Our massage beds that can be reclined and are designed for absolute comfort. These have sturdy wooden structure, thick padding cushion bed & soft vinyl cover. We offer different models that have wide base for customer comfort. Wooden Frame & Sturdy Structure Massage Tables Specifically Designed For Professionals. This Is A Selection Of Our Finest Massage Tables. These Tables Were Manufactured With The Quality, Durability, And Top Features A Massage Therapist Looks For Great Massage Table. The company is a renowned name in the field of Beauty Salon & Spas products indulging in Manufacturing, Imports, Exports and Supplies of the beauty trade. - The company is manufacturing Salon Equipments, Salon Furniture, accessories and Cosmetics to cater the need of the beauty and health sector inventing & preparing result and medical oriented equipments and cosmetics. With the firm experience in the Beauty Industry for last three decades. - Through the years the company has evolved and created a niche for itself in the domestics sectors as well as in international market and caters to the needs of the professional health and beauty salons & spas from all over the world.Offering Salon Furniture Salon Equipments Salon Chairs Shampoo Stations Pedicure Spa Stations in Abohar Amritsar Barnala Batala Bathinda Faridkot Fazilka Firozpur Firozpur Cantonment Gurdaspur Hoshiarpur Jagraon Jalandhar Kapurthala Khanna Kotkapura Ludhiana Malerkotla Malout MandiGobindgarh Mansa Moga Mohali Nabha Pathankot Patiala Phagwara Rajpura Sangrur Sirhind SriMuktsarSahib Sunam TarnTaran Sahib.